Covering all the essence. 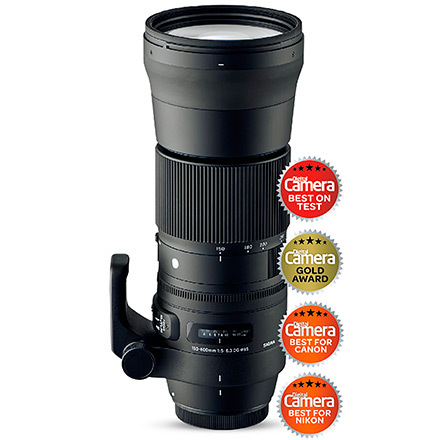 Portable, durable and of a high-standard – A Masterpiece of hyper-telephoto zoom lens. Dust and splash-proof, zoom lock at every focus distance, water-repellent coating, compatibility with the new tele-converters, new OS system with accelero meter, easily accessible manual over-ride switch, optimized auto focusing, telephoto shooting at 600mm, minimized chromatic aberration for higher optical performance and enhanced enjoyment with beautiful build quality. Since telephoto zoom lenses are often used under very challenging situations, this model has crystalized all the possible qualities and features to achieve the best optical and action-capture performance. 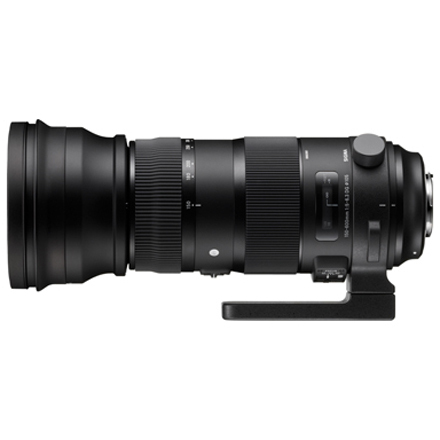 While combining high portability and durability, this high-performance hyper-telephoto zoom lens from our Sports line offers outstanding rendering capabilities. Its versatility provides better flexibility for wider shooting scenes, and the high-performance definitely stimulates photographers' artistic expression. 1. Achieves the best optical performance that embodies the product concept of our Sports line. By incorporating excellent optical glass elements, it minimizes chromatic aberration and achieves class leading image quality. This lens incorporates 2 FLD (“F” Low Dispersion) glass elements, which have performance equal to fluorite, and 3 SLD (Special Low Dispersion) glass elements, and compensates for color aberration at the utmost. Chromatic aberration in particular, which could be visible especially towards the telephoto-end even when stopped down, is corrected by the optimized design of glass elements including FLD lenses. 2. High-end model with enhanced durability - Dust-proof and splash-proof construction. It is Dust and splash-proof, and designed for higher durability. It is able to meet the demands that professional photographers would require in challenging shooting conditions, such as in the rain. The new zoom lock switch enables the zoom ring to be locked at any focal length. It can be fixed at the photographer’s desirable focal length, which allows stable shooting whether the lens is positioned upward or downward. It also helps during long exposure photography. Forefront and rear lenses incorporate a water and oil-repellent coating that allows water to be wiped away easily and prevents oil and fat from sticking to the surface, even in challenging shooting conditions. At the same time, the maintenance of the lens surface becomes easier.